Until recently, the thought of a romantic getaway in Europe typically made me think of cities like Paris, Venice and Rome. In the last couple of years though, Lisbon has been rising in popularity thanks to its diverse appeal of wonderful weather, fabulous food and charming culture. Now Valentine’s Day usually comes with enough pressure, but being my first Valentine’s as a married man meant that I wanted to make it extra special for Geets. 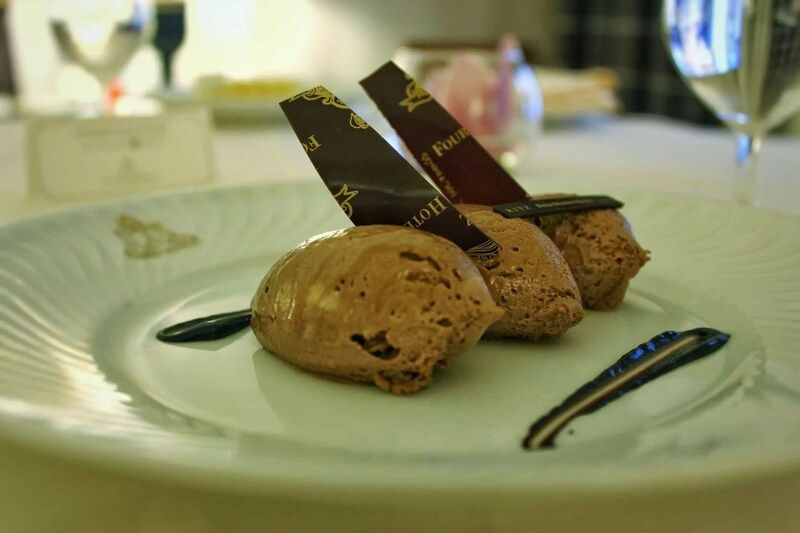 Seeing as it was also the start of our travelling adventure for 2017, it was only right that we started things off with real style, romance and luxury at the Four Seasons Ritz Lisbon. 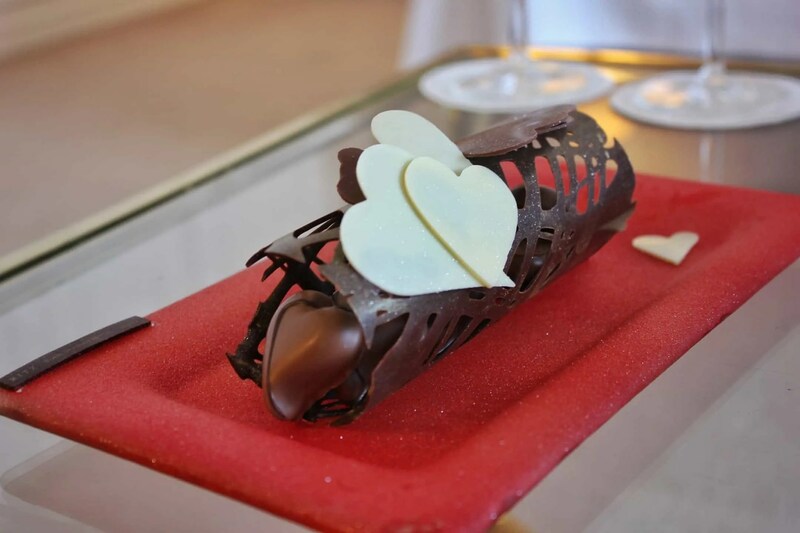 With the hotel located perfectly next to the city centre — a short walk from Marques de Pombal and Avenida da Liberdade, a long boulevard of designer stores — it felt like the perfect place to spend a romantic Valentine’s getaway. Pulling up to the Four Seasons Ritz Lisbon you’re greeted with the kind of 5 star treatment you’d expect; well-dressed doormen came to meet & greet us, park the car and took our bags up to your room. And funnily, despite us pulling up in a modest Volkswagen Up rental rather than a fancy Mercedes, we were still treated incredibly well. I was already impressed by the courteous service, but I was left wowed after walking through the front doors. A colourful arrangement of flowers are draped down from the ceiling and elegant furniture inspired from the 18th century decorates everything from the foyer through to the bar and lounge areas. Almost everything you can see is made out of marble — from the glossy floors to the reception desks — and once you’re done marvelling the feeling sinks in that you’re somewhere special. I’ve been to some very nice luxury hotels, but this one definitely sets a new standard. Walk past the reception and you reach a larger lounge area, decorated with beautiful Portuguese tapestry and artwork, more 18th century themed furniture, grand chandeliers and beautiful flower arrangements. While we didn’t have the opportunity to spend a lot of time here (or the bar nearby), they’re the kind of lavish spaces I envision relaxing in with a glass of Portuguese red wine and cheese board for good measure. With a black piano being played just outside the Varanda restaurant, it’s perfectly set up for a relaxing evening before dinner. 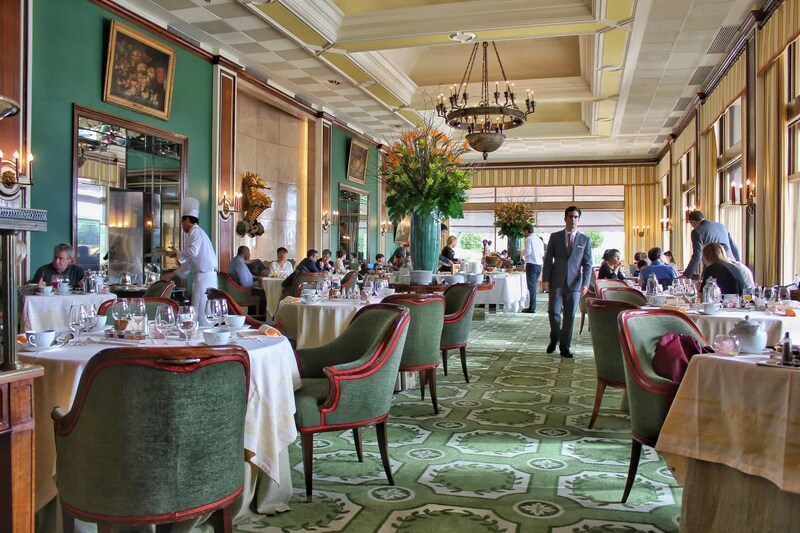 The larger lounge area features a range of beautiful artwork, grand chandeliers, elegant furniture and huge windows. After checking in and being shown around the hotel, we were escorted to our Premier Room on the 10th floor at the Four Seasons Ritz — and walking in, it was hard to contain my excitement. Instead of typical wallpaper, the corridor walls leading up to the master bedroom are lined with beautifully detailed tapestry — giving off a warm and welcoming feel. 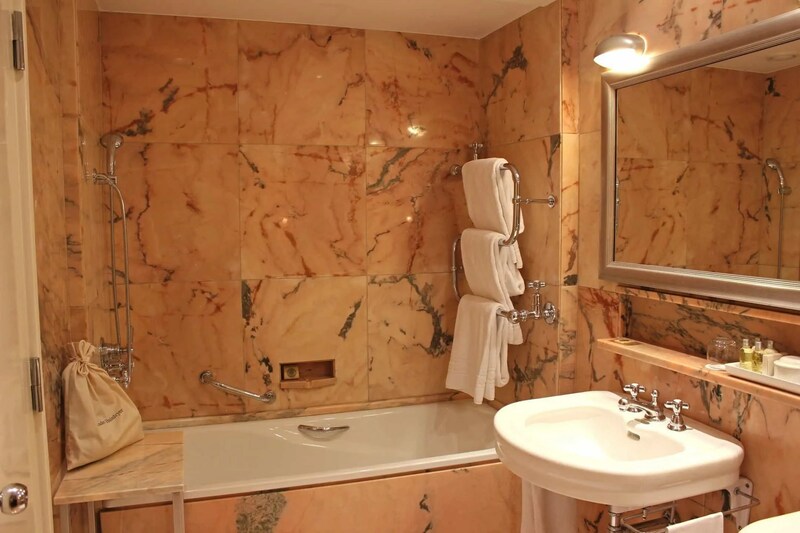 To the left there’s a very spacious bathroom made of marble, including a dedicated shower cubicle, separated toilet room with bidet and his & hers sinks. The bathtub is nice and spacious too; tempting for a long soak after a tiring day of exploring. Four Seasons Ritz Lisbon have looked after the details here too; there are two (very comfortable) robes hanging behind the bathroom door, a couple of slippers, hairdryer and — as you’d expect from a 5 star hotel — a range of essential toiletries for our stay. Walk in to the master bedroom, decorated with a large two-seater sofa and glass coffee table, wooden office desk, large smart TV and queen sized bed with two bedside tables. There’s also plenty of storage with three built-in cupboards. 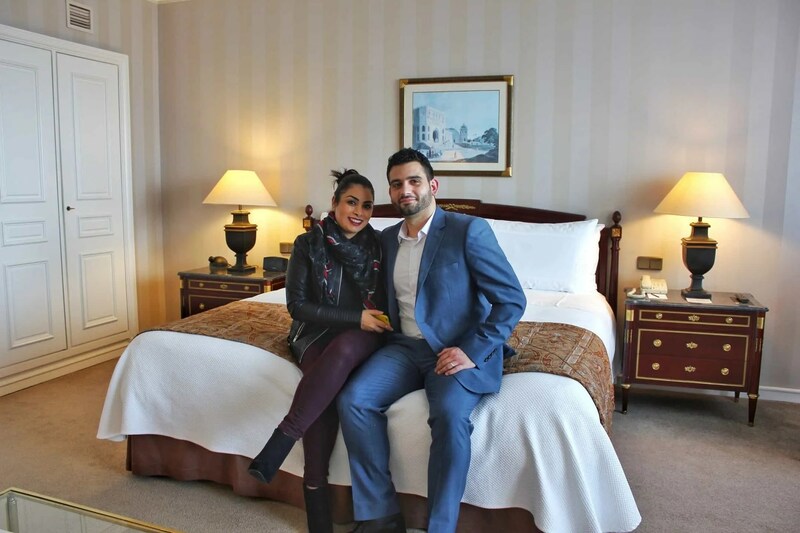 Take a walk around and you notice just how spacious the Premier Room is — Four Seasons make very good use of space with a minimal amount of furniture — and the decor has been kept simple and elegant. Large lamps scattered around the room leave you with a comfortable amount of ambient lighting and if that isn’t enough, you can pull back the curtains and huge windows will let in all the light you need. 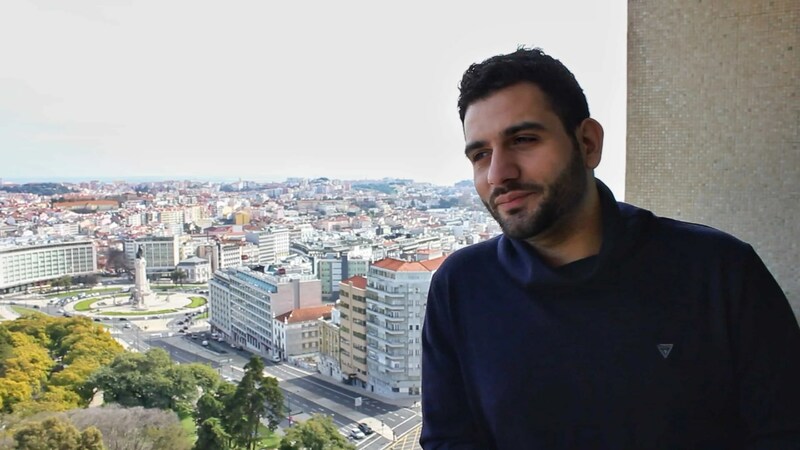 To add, the Premier Room at the Four Seasons has a big bonus: an large balcony overlooking the Lisbon skyline. Immediately in front of us was Park Eduardo VII with Marques de Pombal to our right, and further in the distance you get a wonderful view of St. George’s Castle, perched on a hill. Whether it’s for a romantic breakfast or a few drinks on a warm evening, having this view at your disposal makes the Premier Room extra special. 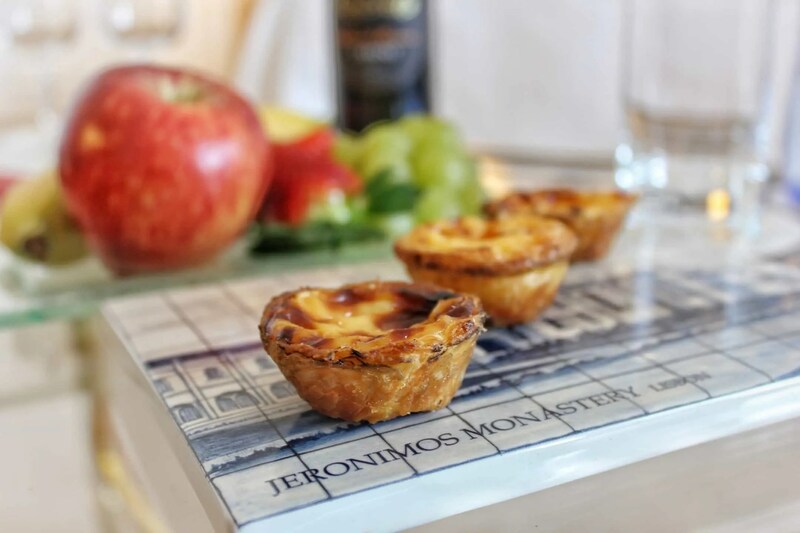 On the menu: mini pasteis de nata — or Portuguese custard tarts — a tray of beautifully decorated chocolate and an assortment of fruits. We even got sent some Port wine and bottles of water! Four Seasons were serving up a special Valentine’s Day dinner downstairs in the spa, and while we certainly felt the temptation to go, Geets and I were loving the room so much that we decided to order up room service instead. Come on, you know the feeling: you’re in your robe and slippers, the wine is flowing and the thought of getting dressed up feels like too much. So… we decided to have a cosy dinner in. 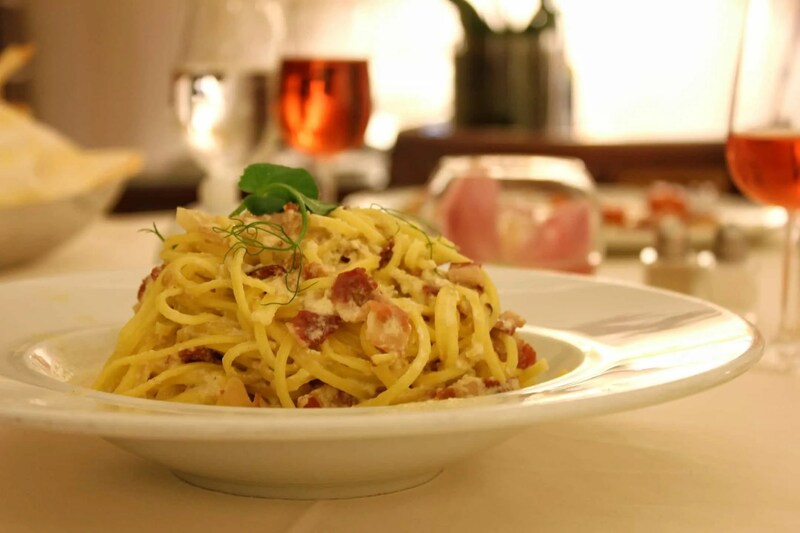 We ordered up some spaghetti and pizza, and before we knew it the waiter was unfolding his trolley into a table — ready for us to eat in front of the TV. I’m sure the special Valentine’s dinner downstairs would have been fantastic, but we have no regrets about our romantic Valentine’s dinner in robes, watching a good old movie and overlooking the beautiful city of Lisbon. They sent up a plate of chocolate mousse — which was amazing by the way — along with an additional assortment of fruits for us to pick on too. With our stomachs content and romantic movies playing on TV, we slid into the incredibly soft, comfortable bedsheets and called it a night. After a super (and I mean super!) 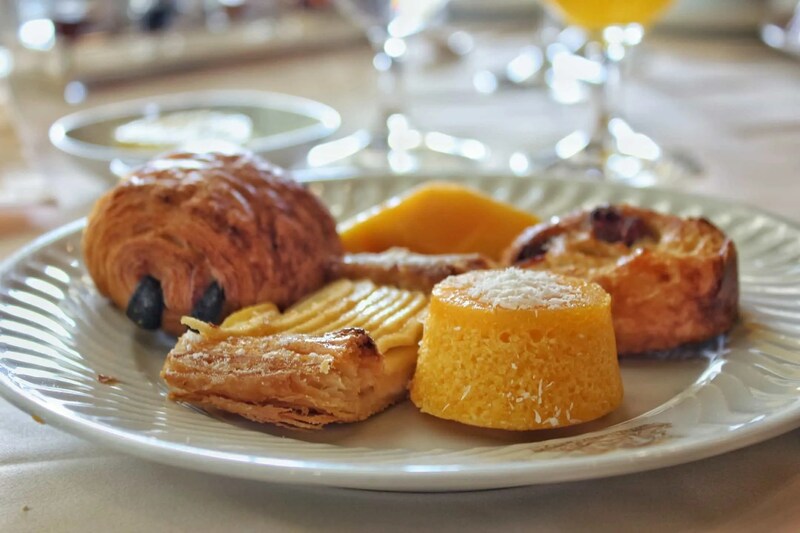 comfortable night’s sleep, we got ourselves ready for breakfast downstairs in the Varanda restaurant — and like the rest of the hotel, it carries that same classy feel. We got to breakfast sort of late unfortunately (don’t judge me; like I said the bed was comfortable…) but the food options still there had my mouth watering. Everything seemed to have that extra touch of finesse. 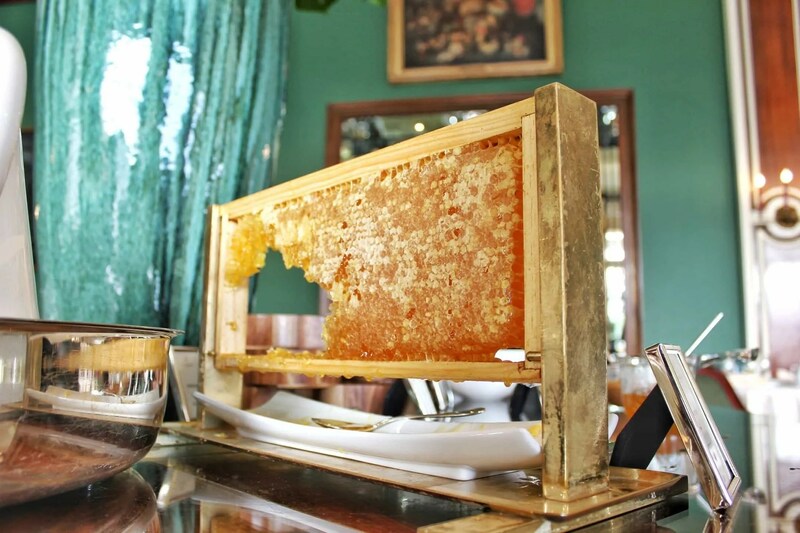 Where hotels usually have honey in a small bowl or bottle, the Four Seasons put out honeycomb on a rack. 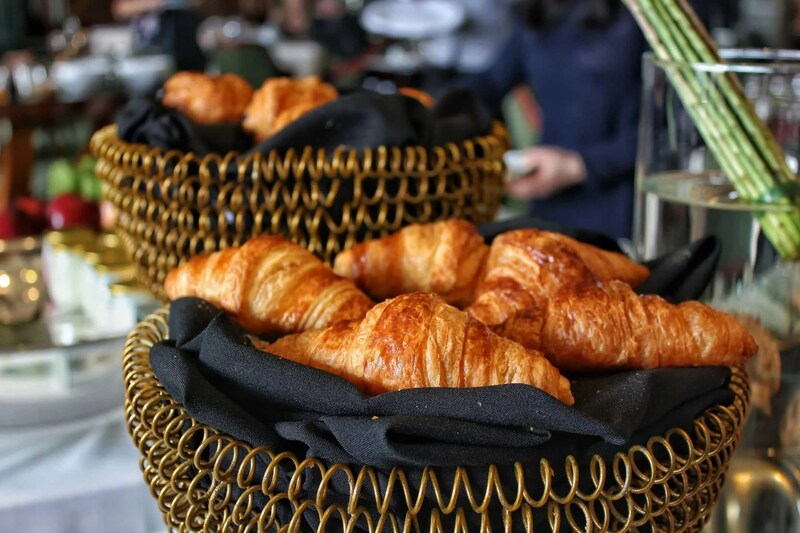 And instead of using normal platters, pastries like croissants were wonderfully displayed in golden wire baskets and black cloths underneath them. Even the gluten-free muffins were presented on a mini cake stand. Like I said… everything had an extra touch of finesse. Yoghurts, cold meats, cheeses and variations of egg were all on the menu too, so all in all I was really happy with the choices and quality of food we had at breakfast. Next time, I just have to make sure I wake up early enough to enjoy it fully! 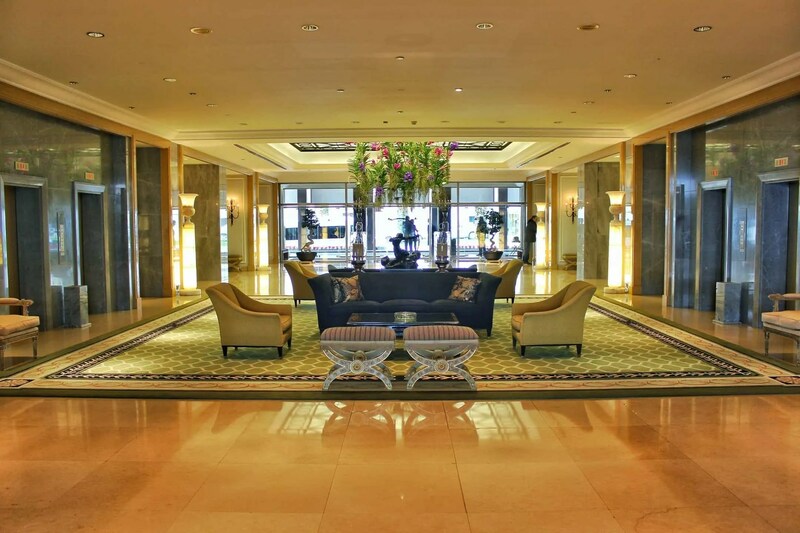 I’ve been recommending Lisbon to people for years now — and while there’s a range of hotels at your disposal — the Four Seasons Ritz has to be on your shortlist for a romantic, luxury getaway. 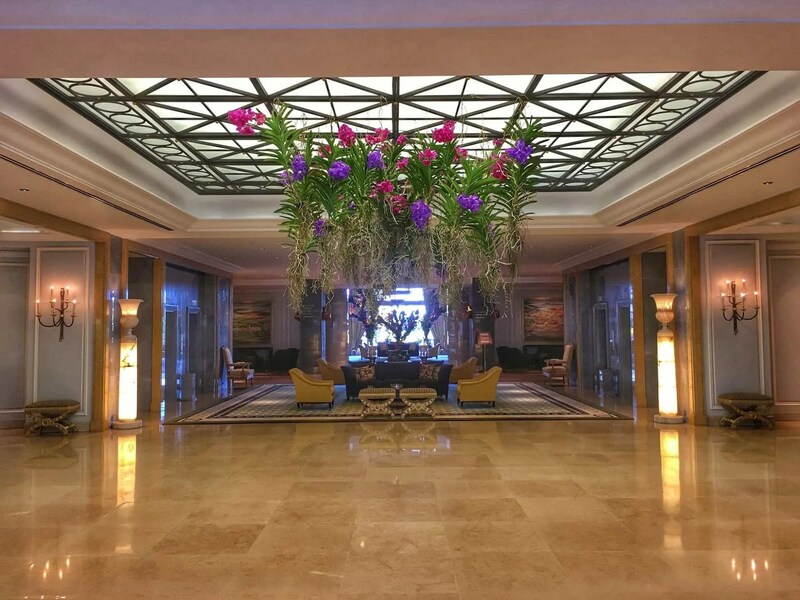 It’s perfectly located in Lisbon, has incredible facilities like a spa and fitness centre (with an incredible view), and certainly delivers a memorable stay.